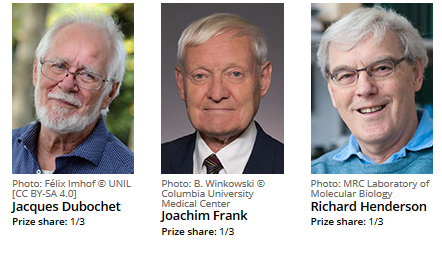 …was awarded to Jacques Dubochet, Joachim Frank and Richard Henderson "for developing cryo-electron microscopy for the high-resolution structure determination of biomolecules in solution". We might soon be able to see detailed images of life’s complex processes in the atomic resolution. Cryo-electron microscopy simplifies and improves the process of biomolecules´ imaging. The discovery of this method has opened a new page in biochemistry. A visual image is a core element for understanding the observed processes. Scientific breakthroughs are usually based on effective visualization of the objects that are invisible to the human eye. For instance, biochemical maps contained lots of blank spaces because available technology had difficulty to generate images of life's molecular processes. 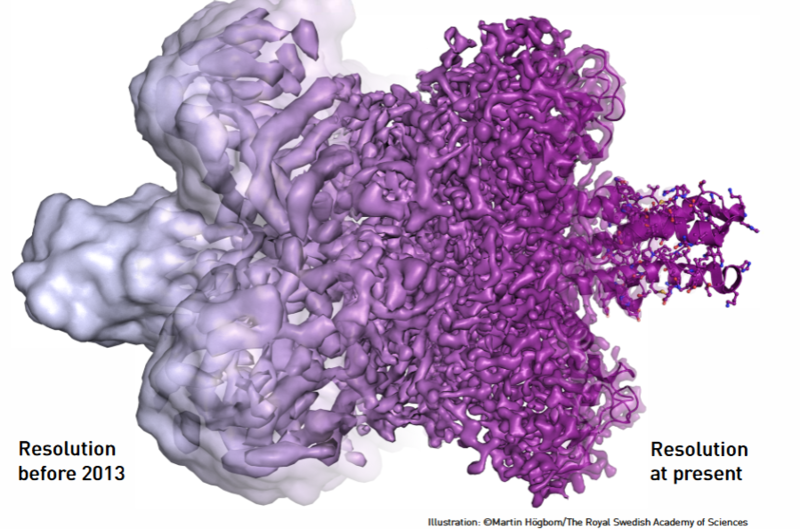 Here comes the cryo-electron microscopy that flipped the page. Now researchers have acquired the ability to freeze tiny mid-movement of biomolecules and visualize the processes that they have never seen before. This is a decisive breakthrough for basic comprehension of life's chemistry and for evolution of pharmaceuticals.